1-1⁄2" tall natural wood capital letters. 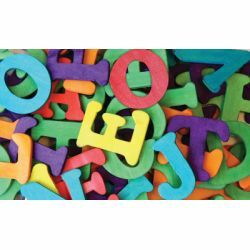 Assorted bright colored Letters. 104 pieces.